By keeping track of current market developments, we are offering a distinct range of Cap Lining Machines. Facilitated by technically-advanced machines, we manufacture the offered products in accordance with set industrial norms. 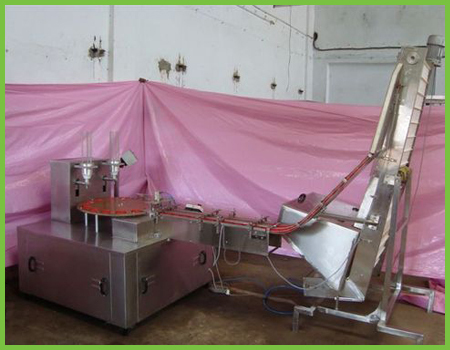 In addition to this, our experienced quality inspectors thoroughly examine these machines on numerous parameters ensuring its efficient functionality. Our offered range is widely praised by our clients, owing to its durability and high efficiency.